Brunch is probably the one meal in Vancouver where the line between $ and $$$ blurs as most restaurants gravitate towards a median price. 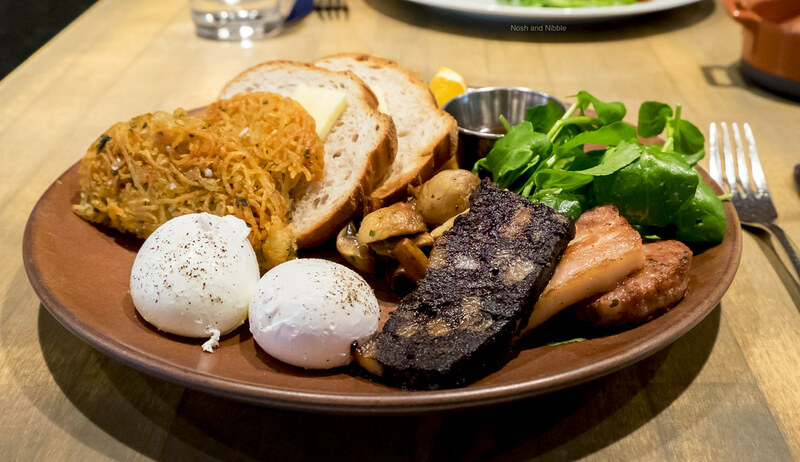 After the Vancouver Sun Run last Sunday, I looked forward to a finer brunch at L'Abbatoir. Needless to say, the food was amazing but the service left a lot to be desired. Read on for the rest of my wonky experience. You might be wondering what convinced me to order something other than tap water. Our server gave us the choice of sparkling or still water, and then I blundered, perhaps from fatigue of a 10km run, and I asked for still water. 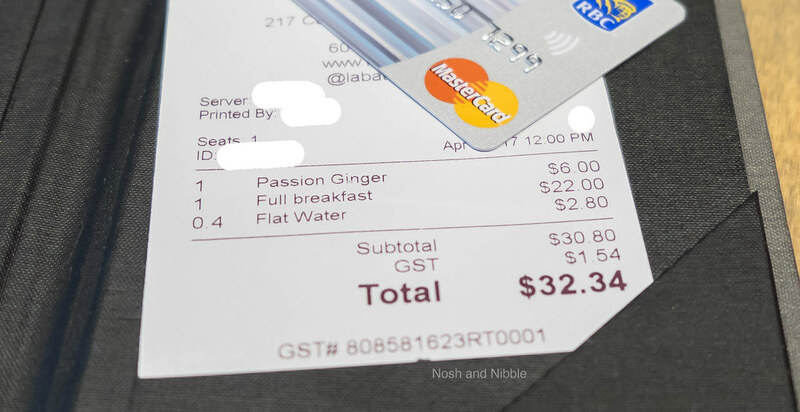 Pro-tip: If you don't want to pay for water at a finer restaurant, be sure to ask for tap water..
My biggest problem with this setup was my receipt revealed I split 2 bottles amongst a table of 5. I wonder when our server asked if we wanted a second bottle of water because I'm having troubles remembering. 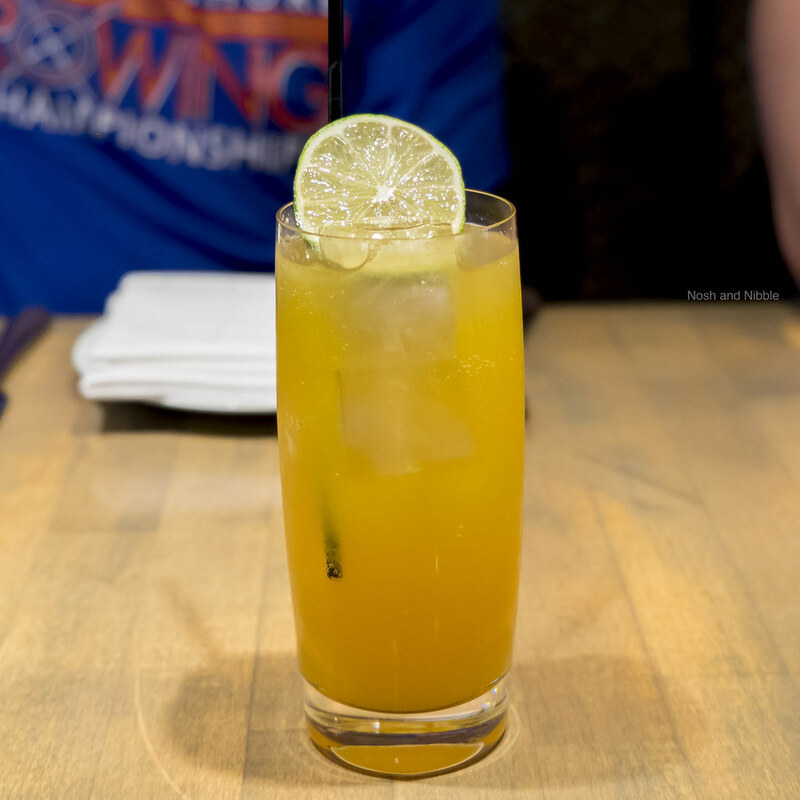 I was interested in trying the Passionfruit Smash because it came with ginger beer. The good news is there was enough ginger in my drink that, once stirred, provided a satisfying bite in each sip that was further perpetuated by the thin straw. Alas, something was wrong here. You'll see the Passionfruit Smash was $4 but my receipt had me charged $6. 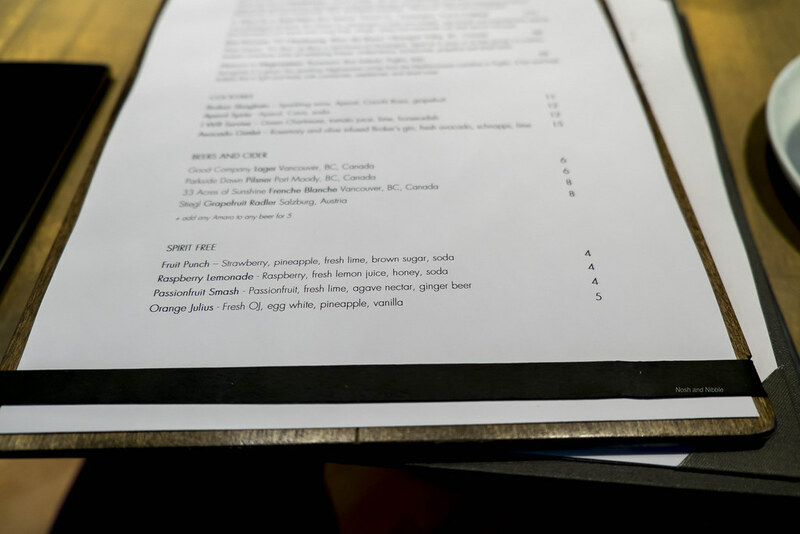 I had no idea this was happening and originally only took a photo of the drinks menu for ingredient reference, but thank goodness I shot a photo or else I might have missed this overcharge scenario. I'm a little shocked this happened as with a finer restaurant, there are some things I don't expect to go wrong, and matching prices on a menu and receipt is one of them. 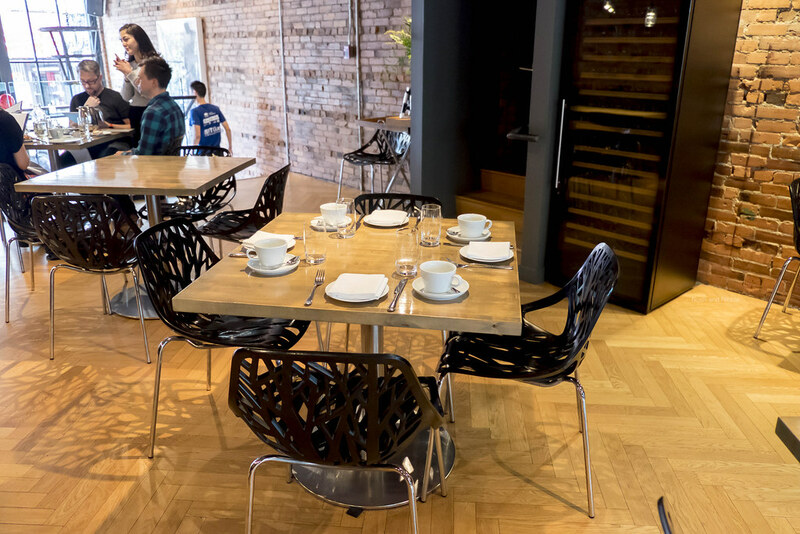 The Full Breakfast (2 eggs, duck sausage, pork & beans, boudin noir, rösti, toast) was an accurate description of all of L'Abbatoir's brunch sides mashed onto one plate. Eggs were offered any way I liked, so of course I chose poached. Thankfully, they popped with ease and made for great fun as I lathered my toast with the yolk and duck sausage. The boudin noir was also quite interesting. This blood sausage had a salty and slight bloody taste. It's an acquired taste, but I'm always for trying something new. The pork belly was delightful, juicy, and convinced me I should order the Pork Belly Eggs Benedict next time. 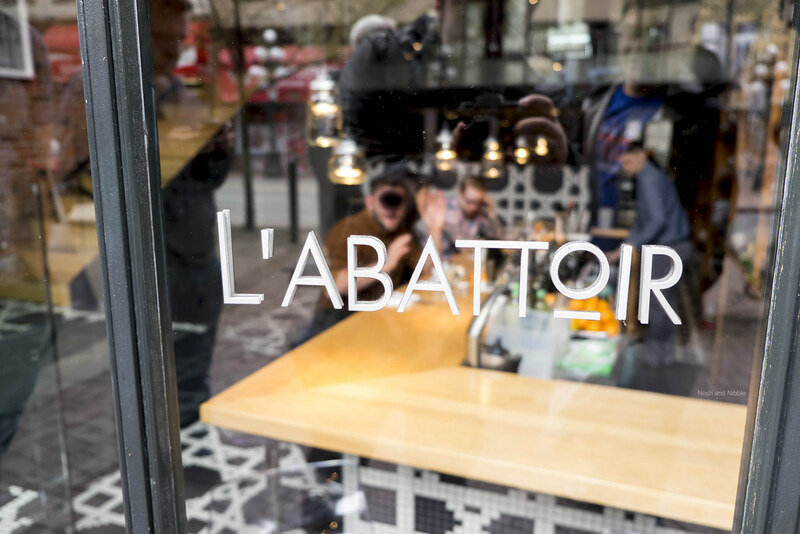 L'Abbatoir resides in one of Vancouver's oldest buildings in the historic Gastown neighbourhood. Built in the 19th century, the building was the site of Vancouver's first jail and neighbours to Blood Alley, a strip known for butcheries and meat-packing. With all this historic influence, the restaurant retains the original brick walls which adds a lot of visual character to the space. 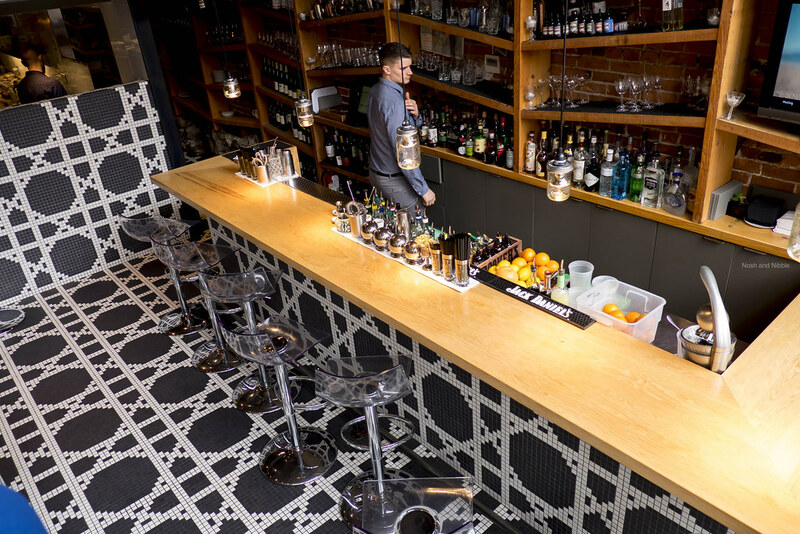 With a lower bar area (the only seats for happy hour) an upper loft, and a backyard solarium, there's a variety of seating in what I estimate to be 80 seats. The decor inside is quite loungey and the tiling is simply beautiful in both the dining and bar areas. Service was a little disorganized. Our reservation was for 11:45am, but at 11:45am I was told our table wasn't ready yet. By the time our party had just one missing member, we were given the same message. Finally, we were seated at around 12:05pm. Thankfully there was bar space to lounge in, but I can't imagine there being too much space during dinner service if the same situation were to happen. Food service was great though. We treated to a vivid display of pastries before and after our meal, and our server made sure to keep our waters full (though she did tack on a second bottle without checking with us uninformed guests first). Food took about 15 minutes to start coming out which is quite standard in the brunch scene. The staff also offered to stash our belongings in a closet prior to seating us which was a nice touch.